It's only a matter of time until every sports fan comes to a point where they end up needing a reliable and easy-to-use mobile app in order to check their favorite leagues and teams scores. 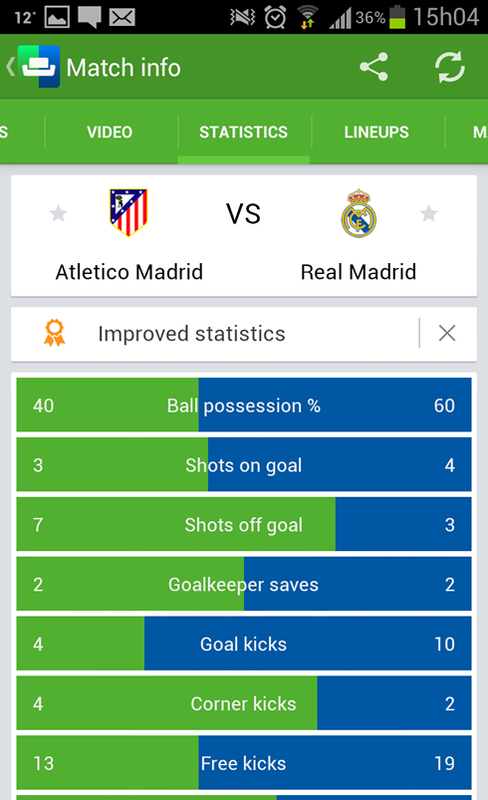 The answer to that need is delivered by a revolutionary livescore app developped by SofaScore, currently available in all platforms (iOS, Android and Windows). From now onwards, there's no excuse anymore for not keeping track of Real Madrid and Cristiano Ronaldo matches. 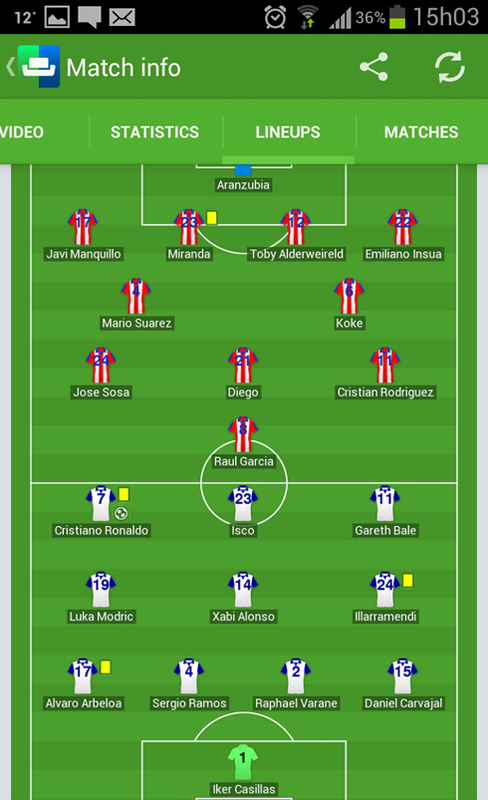 Regardless of you being a devoted fan of Real Madrid or not, if you're into sports then you must give a try to the "SofaScore Livescore" app, designed from scratch with the only intent of serving and pleasing the large sports fans community out there. It's available in all mobile platforms: iOS, Android and Windows, and you can use this livescore app to always be on top of the latest scores in a high diversity of sports and leagues. The "SofaScore Livescore" app comes with a ton of features and functionalities that promise to convince even the more skeptical minds and to help proving that, we took the opportunity to reach out to them and interview Ivan, CEO of "SofaScore Livescore". This is a service available not only through their own website on SofaScore.com, but also and as mentioned above, as an app developped for all mobile platforms. Now that we're about to resume the UEFA Champions League action and that we're also on the verge of witnessing a memorable World Cup taking place in Brazil next summer, there hardly could be a better timing to go through with a complete review about a livescore app that allows all sports fans to get all the updates they need about their favorite teams. It has all the information that you need for any Real Madrid match. You can check official lineups, get fast information when Cristiano Ronaldo scores and at the end of every game, watch the video of any goal that Real Madrid or any other team scores. The "SofaScore Livescore" app has already proven to be not only one of the most reliable products in the business, as it also brings us the opportunity to customize many different options across its features, and which, as a whole, provide the user with a highly personalized service and a tremendously rich experience. 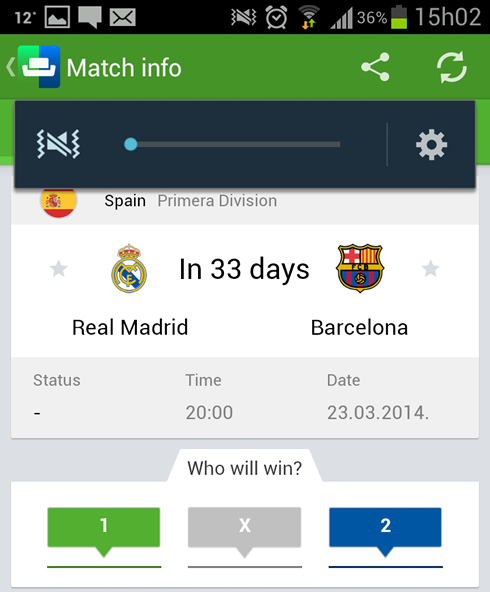 Below, you can read more about the app through an interview we conducted to Ivan ("SofaScore Livescore" CEO). R7: What would you say that currently sets the Sofascore app apart from the rest in the market, in terms of features/functionalities? 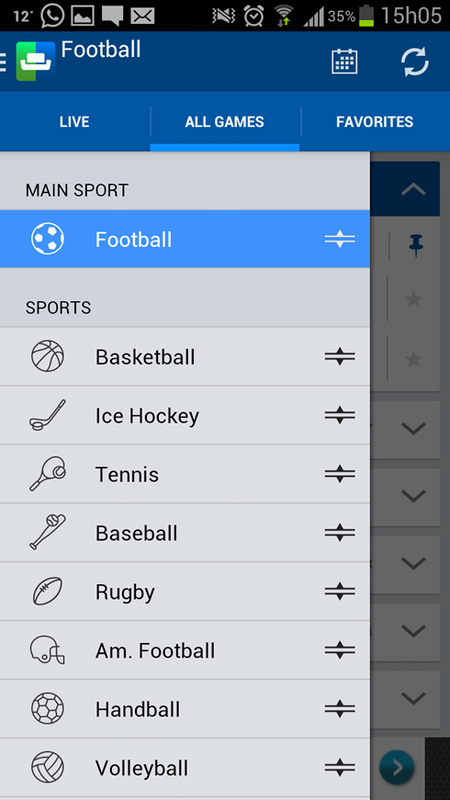 Ivan: "We think that the biggest advantage of the SofaScore app is in our sports coverage. We're currently covering 14 various sports, with almost every league across the globe. We try to treat every sport equally, but since we're in Europe where football/soccer is the most popular sport, we're mainly focused on football. We've also spent many hours in improving our "Favorites" tab, which is in fact becoming the "main tab" for many app users. That's changing the way how people check sports results because before you had to search for your team across hundreds of games that are taking place every day. 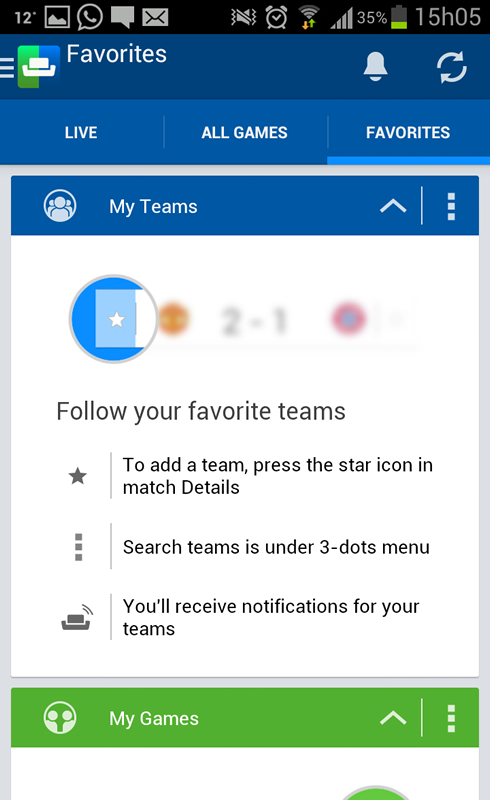 With the "Favorites" tab, it doesn't matter if you are a football, tennis or ice hockey fan (or all three together), you can have all your teams in one place and get the updates about scores automatically in form of very fast, nearly instant notifications/alerts. Additionally, we support features like video goal recaps that are sent to our users instantly after they appear on Youtube or Dailymotion." R7: Can you unveil any new features you're currently working at or simply planning for the future? Ivan: "A big update is being prepared across all the platforms and website, and it will be available next month for all our users. 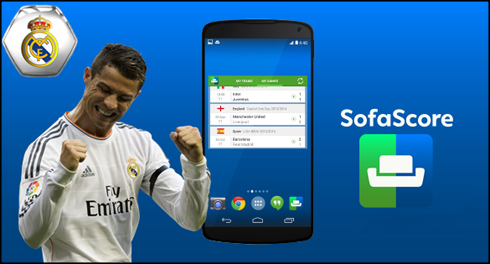 Since we're available as website (SofaScore.com), iOS, Android and Windows phone app, we've seen that our users are using SofaScore on different platforms. We decided to make an user account feature that will essentially connect all of our apps and web in one place. Users will be able to synchronize all their teams and matches to unlimited number of devices. We'll also gamify some of our features to make the app more interesting to use, but let's leave that as a surprise! The new update is 90% done and we're testing that internally, but when it goes live it will be one of the things which will further set our app apart from the rest of the market..."
R7: What has been your main focus throughout the whole application development? Are you capable of prioritizing the following items and eventually talk through any difficulties and curiosities about them? ::: App compatibility | Making the app compatible (bug free) across all mobile platforms and the maximum devices/versions possible. ::: Feed response time | Has this ever been a real issue or do most of these livescore applications get their feed from the same source and hence, there's not much of a difference in terms of how fast the feeds/updates are shown. ::: Users' feedback | Just as it happens with plenty other applications and services on the web, sometimes it's quite common to see highly valuable insights and feedback coming from the user itself. Has this happened with the SofaScore app since you launched the very first version? How important has this been throughout the whole app development process? :: 1st :: Feed response time: "It has always been our main concern. We use multiple sources for information provided to our users, some of which we created on our own. We are providing only the best information available out there. We devoted ourselves to that and if some of our user report either small delay, we try to identify the cause and further improve it." :: 2nd :: Feed response time: "We highly value our users' feedback. Our support team is trying to reply to any feedback that we get internally or on the Google Play store. Numerous time they have already helped us with their comments and brilliant ideas. Their insights, wants and needs, guides us through the whole process of development." :: 3rd :: App compatibility: "Making the app compatible and bug-free across all mobile platforms is challenging but very important for us. For example, Windows Phone takes very small percentage of the market, but we decided to make an app for those users as well, and we'll do that for any other platform that may appear in the future." R7: Thank you Ivan and congratulations to the entire SofaScore team! I hope we may have helped our visitors getting more informed about the "SofaScore Livescore" app and all its advantages. Good luck for the future! Cristiano Ronaldo next game for Real Madrid will be against Schalke 04, for the UEFA Champions League last-16 round first leg, scheduled for February 26 of 2014. In the meanwhile, you can watch Real Madrid vs Elche, Barcelona vs Manchester City live, Bayer Leverkusen vs PSG and Arsenal vs Bayern Munich, all matches provided from our soccer live section.